As the transfusion progressed, he lay in bed next to his sister and smiled, as we all did, seeing the color returning to her cheeks. Then his face grew pale, and his smile faded. He looked up at the doctor and asked with a trembling voice, ‘Will I start to die right away?’ Being young, the boy had misunderstood the doctor; he thought he would give her all his blood.In this life, we know how hard it is to recruit volunteers. I have often heard people use the analogy; it is like trying to get blood from a turnip. My mission in this post is to give you some important things to consider when attempting to find those high-quality recruits. Often when people talk about these types of issues, they will give you business models. Just to make this more enjoyable. I will show you how Jesus recruited volunteers. Here are four key factors to consider. 1. Jesus Lead with Vision. As he approached the fisherman, Andrew and his brother here is the exchange. Notice what Jesus does. He says come with me and join me on a mission that will change the world. What you are doing now is honorable work. It is important, but do you want to come and join me as well announce to the world that the kingdom of God is near? Who wouldn’t throw down their nets and sign up for that opportunity? Do we offer high capacity people the chance to join you on a mission that is so important that they could change the world? Whatever purpose you want people to join you with, make sure you lead with a vision. Be clear where this volunteer effort will result and the impact it can have on the world. 2. Connect to their passion. What would make a person leave the family business and poor ole dad in the ship to go off and follow this Rabbi? Jesus connected these men to a compelling vision and their passion. You are already fisherman. Instead of just catching and selling fish what if you could help people connect with the Savior? When you want someone to give something they value – their time – you need to offer them something that awakens a passion. So find out what your volunteers are passionate about before you ask them to volunteer. 3. Be Clear about Expectations. Jesus was clear about what his mission was going to do. He was laser-focused. He did not have time to develop a ten-year plan. There were no committees nor focus groups established to discuss the marketing of this vision. Jesus only had a little over three years to hit all the goals God has set for the Messiah to accomplish. So Jesus needed volunteers who were clear about the expectations. You are here to become “fishers of men.” Are you clear about what you expect your volunteers to do? What I see far too often are volunteers who are discouraged because they do not have a clue what is expected of them. When that happens volunteers quit, and they spread the word. Don’t waste your time. They have no idea what they are doing, and you will just get frustrated and waste your time. 4. Make Sure your Volunteers have the needed Training and Resources. Jesus did not simply recruit volunteers; he also poured into their lives. He instructed them. Jesus equipped them for the mission work. And he gave them the power to accomplish the ministry. See the verses below. No more dancing around the real issue. We are not recruiting volunteers in the church. Recruiting volunteers imply we are trying to fill an institutional need. We are equipping disciples for the mission. The church is seeking to take on the gates of Hell. Disciples are not called to give a few hours of their free time a couple of weekends every six months. Jesus calls His followers to “take up their cross and follow him.” He says, be ready to face persecution even death. That is not what volunteers sign up for, that is what disciples do. Our mission is critical. Our time is limited. We need quality followers with passion, spiritual gifts and a commitment to see the mission accomplished. Our single work is carrying out the message of salvation to the world that desperately needs to connect with the Risen and Ascended Savior, Jesus Christ. Go and gather that army. Train them. And send them out on the mission. Excellent, and the leading story was extremely touching as well as appropriate. I enjoy reading your posts very much. 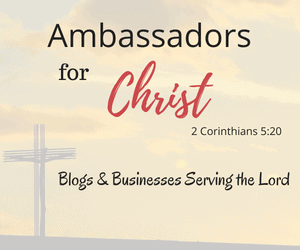 I think it is so honorable how you share the Word through blogging. Recruiting is definitely one thing I am not good at but I found what worked for me was being the example of what I would like people to join me on. Thank you for relating what is in the Bible to everyday life. What a wonderfully inspiring story! Great reminder for all of us as we navigate through life. Thank you Keith! You are welcome and have a blessed day. Thanks Keith, really great stuff. Thank you Steve. That means a lot coming from you. Blessings my friend. This is totally new for me. I have always been a fan of the chicken soup for the soul! Thanks for sharing! Great insights brother! We are designed for Divine purpose. The key is helping folks understand that vision still requires faithfulness. Some want to “skip the mundane and graduate to the spectacular”…trying to raise up faithful folks can be a challenge. someone walked up to me today and asked if they could volunteer! that’s so awesome. i’m cool with asking people to serve, but it’s nice when they already want to enough to reach out. An amazing story, I love this.